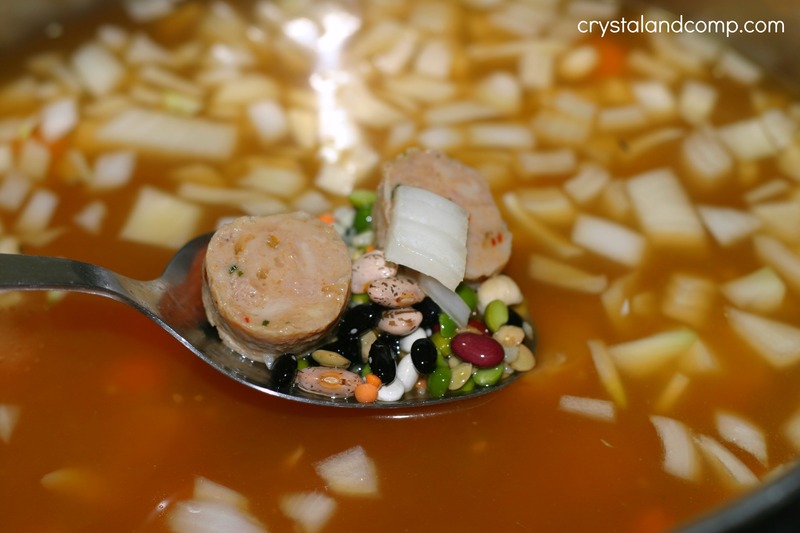 My friend Kim is always telling me about these soup recipes she makes and she adds sausage to them. as in linked sausages or polish sausages. Summer is coming to an end and I am craving Fall. Crisp weather. Leaves changing. Soup for dinner. I was at Sprouts about a month ago and they have beans you can buy in bulk. The 15 bean soup medley was on sale, so I bought two cups worth. Then a few weeks later I was at Trader Joe’s and grabbed some Spicy Chicken Sausage that we taste tested. I knew this would be perfect to add to the soup! 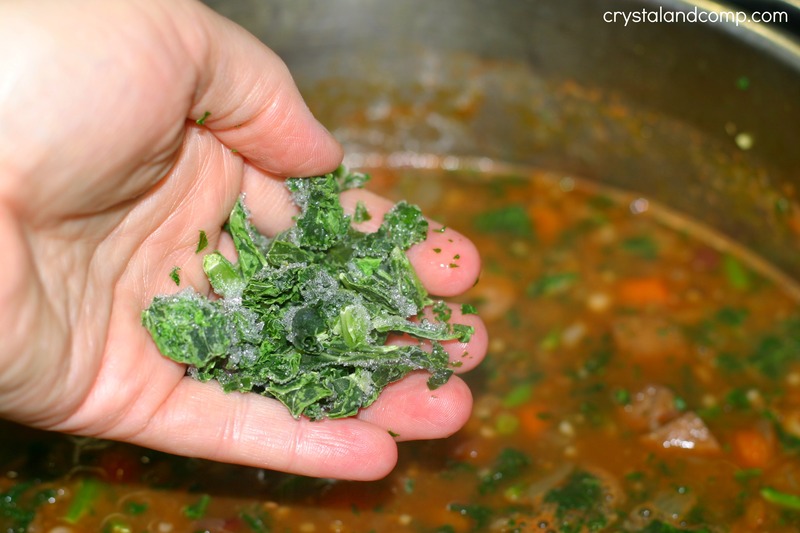 Here is how I made this super simple soup on the stove top. While you’re here make sure you check out all of my easy recipes that are perfect as we get into back to school mode and ready for Fall! 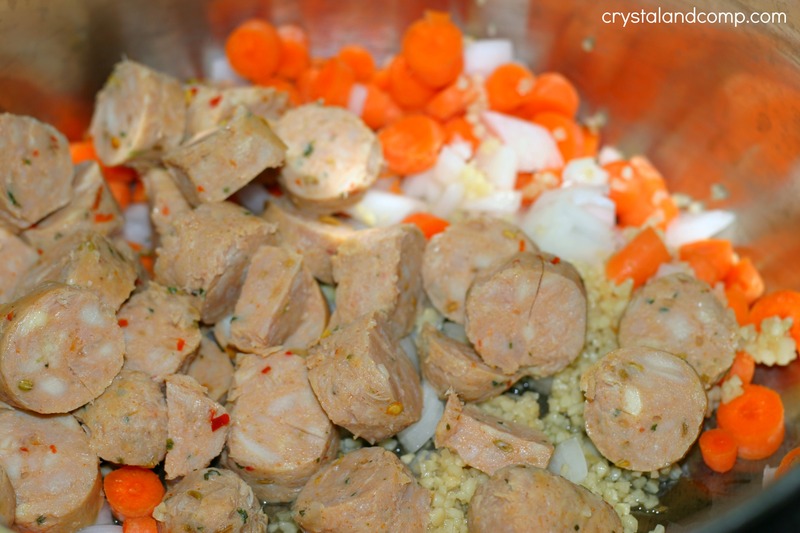 In a large soup pot add the garlic, onions, carrots and chicken sausage. Add the two cups of clean beans to the pot. Add in the 64 oz of chicken stock. Bring it to a boil and continue to boil for 20-30 minutes. Move to low and cover. Continue to cook for 1 hour to an hour a half or until the beans are done. Most of the beans in this mixture are pretty small, so they cook quickly. The last 15 minutes of cooking, add the chopped frozen Kale. It cooks super fast and this is a great way to add some extra nutrients. We served this with a slice or cornbread. My little kids did want to eat it over rice, so I steamed a pot of rice and drained the soup before I poured it over their rice. I am trying to watch my carbs, so I just ate a small slice of cornbread and a big bowl of the soup. And that is it. This is a very easy dinner option and cooks so quickly on the stove. You will certainly want to add this to your Fall menu! What is your favorite soup to make at home? This looks yummy! Did you have to soak the dry beans overnight first? 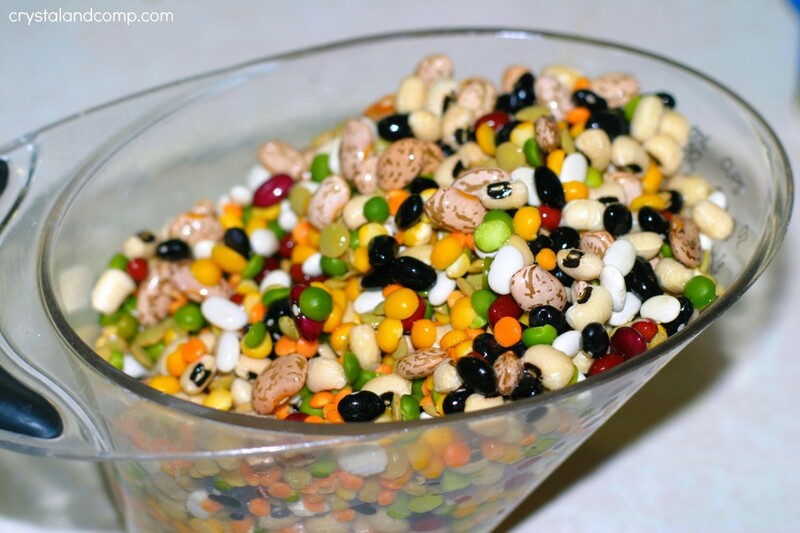 I actually have little experience working with dried beans, so I pinned your recipe. You certainly can soak the beans overnight…. I forgot to so I just washed them really well. I love black eye pea and kale soup made in the crockpot. Thanks for sharing with us at the #WWDParty and enjoy the holiday. Oh, black eyes peas and kale sound so good!! I am ready for some soup weather. 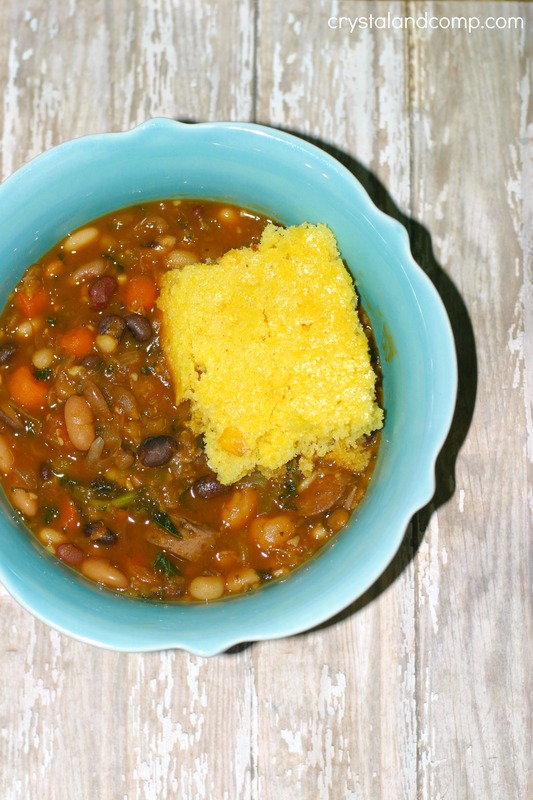 I just love this soup and glad it is time to make it again! Hope you have a great week and thanks so much for sharing your awesome recipe with Full Plate Thursday. Your post has been pinned with the party! I love bean soups, so healthy. Thanks for linking up at the Bloggers Brags Pinterest Party.